A New Kind Of Wagon - Mustangs, Etc. The Ford E Series is known for the classic Econoline van but the origins actually lie with the Ford Falcon. On the market in 1961, the first Econolines were planned around the frame of the Ford Falcon with the first year of production powered by the 6-cylinder Falcon Thriftmaster. A column mounted 3-speed manual transmission was used but in '64 the 2-speed Fordomatic automatic transmission became available. 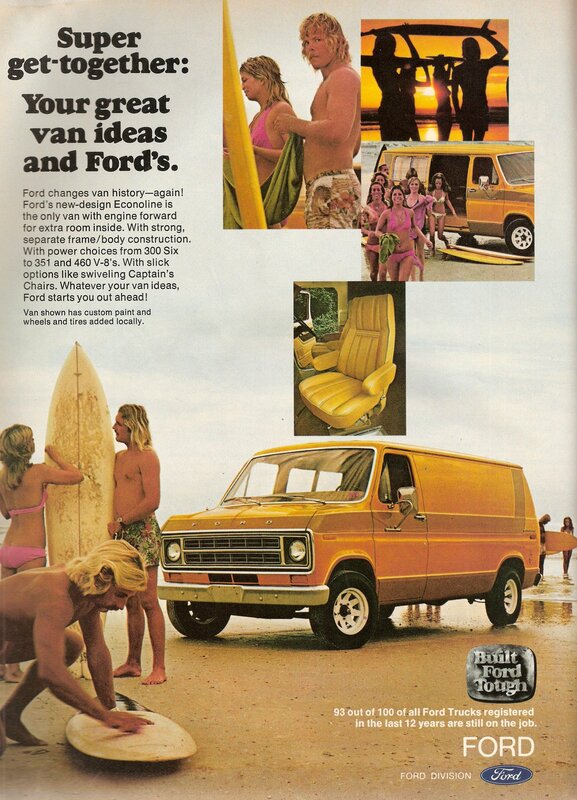 Originally the designs were drawn up as a replacement to the F Series panel van and three configurations were put together for release: cargo van, passenger van, and pickup truck, with some models being labeled as Ford Falcon Vans. Cab over engine designs became popular due to the European market. By moving the driver and passenger seats forward, a tighter turn radius is achieved along with adding quite a bit of extra space. 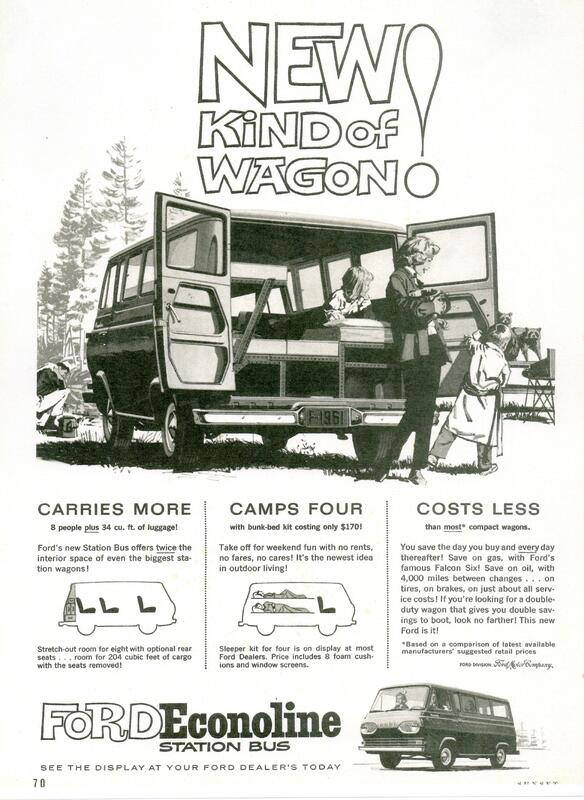 The Econoline was cheaper than a conventional pickup and with the option to have it covered, it became immediately successful with utility and delivery companies. The second generation began in 1968. The pickup build was dropped in favor of an all-van lineup for the E Series. The engine was moved to the front of the cab and many design cues began to come from Ford's F Series trucks. Extra length was added to the wheelbase and a V8 option was introduced. In this generation, the E series became the basis for Ford's incredibly popular C Class RVs. In 1975 there was a facelift and the controls became more ergonomic. A V8 diesel option was added but not many major changes were made to the general design. In 1992, Ford's design for the Club Wagon won the award for Truck of the Year but from here on out competition became tough. In 2001 the Econoline name was dropped entirely for the E Series naming convention. 2014 marked the last year for the standard van and cargo van in the series with Ford stating that only the cutaway cab and stripped chassis will be built. This will be only until the end of the decade. The Econoline is one of the most well recognized classic vans. In LA, the EconoWest show is held each year where classic van owners from all around gather and soak in the nostalgia. Enthusiasts are out there and we've got the parts to keep them driving.